Been a few years since I checked my eye sight. Chose Plaza Vision because they had Saturday appts so that was convenient for me. Didn't realize how off my sight was. Dr.Watanabe gave me an eye exam that was simple and explained in regular talk what was happening. He asked questions that by the time we where done I was very impressed by how he explained symptoms I didn't realize I had until we spoke about it. I had been having trouble reading my computer screen and cell phone but just thought it was because print was small and everyone had the same issue. It was actually causing headaches but I didn't realize it was from that. I was wrong! He said I needed glasses to see close for that type of reading. Wow! I can see again! Didn't realize how clear things really are! and my headaches are gone. Thanks Dr for your help! I had a wonderful experience. The staff were all professional, courteous and helpful. My doctor was Alysa Watanabe, O.D. and she was so sweet and quick with her examination. I instantly liked her. She gave me a pair of comfy contacts to try out for a week. I loved them! I went back after a week for my follow-up appointment. They had a spectacular deal going with the manufacturer of the contact lenses so I purchased a full year of contacts. I was told they would arrive and be ready for pickup with 7 to 10 days....but 2 days later, the office called to tell me I could pick them up! Exceptional service!! I highly recommend Plazavision! I have been going here since I was like 5 and I have never had a problem with them even after I've had insurance changes! Great place great staff! Hands down best optometrist and staff around. We received our glasses really quickly. They really took the time with each of us. We love you plaza vision. I have nothing but good things to say! My husband and I went in to get him new glasses and for some reason our insurance wasn't coming up correctly. They were nice enough to check and see what the issue was and wouldn't let us leave until it was resolved! She also took the time to show us many options for glasses for my husband. We definitely left happy and will be going back! I've had great experiences with both doctors for many years and have nothing but good things to say about Plaza Vision. The staff is polite & the doctors take their time to walk you through the exam. I've never felt rushed & have always had all my questions answered. My family and I have been going to PlazaVision optometry for many years. We have always had great experiences at this optometrist office! The doctors and staff are always very friendly and there to service to you. One year I went to Costco for glasses and i never went back! When you get glasses at this office you know that you are receiving the absolute best! We go to both locations (here and Monrovia) and we have for at least 15 years now. We have never had any problems with them. They're thorough and accurate in their exams, they're extremely helpful in picking out frames that go well with your face shape, and meet your specific needs. They do have an absolute ton of designer frames but they also have a good selection of budget friendly yet still fashionable choices. They've even offered to help save us money by reusing the same frames and just updating the prescription. I'm all for getting a deal, but this kind of service is important for your every day life. Go to a quality place like this and work within your budget. The staff is friendly and way more helpful than the other place we have to go because they take our insurance (which only pays for glasses every other year - so we come here in between). This was my first time here, and they answered all of my questions even though I bugged quite a bit to make sure I understood everything. I bought these totally amazing glasses and I had no problem with them whatsoever. They have a really good selection. I was surprised to find good frames because most frames do not settle quite right with me. My eye exam was quick and informative. I'm definitely coming back with my family. Just had eyes checked. Very friendly service and Dr Watanabe is the best. He is very nice and makes you feel at ease. The staff is very friendly too. They have a large selection of frames to choose from. Pricey but having good insurance is a plus. Highly recommend this place. 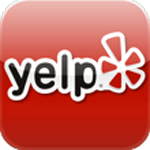 Please Take A Moment and Rate Your Service Today!